VALENTINE’S DAY SPECIAL: ARYA’S OFFICIAL STATEMENT ON HIS WEDDING! 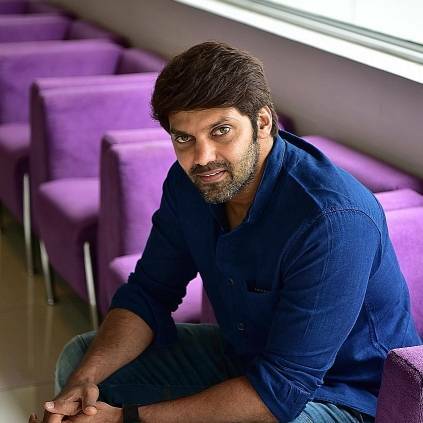 Actor Arya was last seen in Ghajinikanth, paired opposite Sayyeshaa. There have been various speculations arising that the duo is getting married soon. Meanwhile, Arya took to Twitter to confirm his stand. In what seems to be like a special Valentine’s day post, Arya posted a picture that read “With the blessings of our parents and family, we are delighted to share with you the most beautiful day of our lives. We are getting married this March! We seek your love and blessings in our new journey of happiness and togetherness”. He also posted a picture of him and Sayyeshaa together. With the industry witnessing a lot of celebrity weddings recently, this wedding indeed adds up to the fun and excitement. On the work front, Arya and Sayyeshaa are also part of Kaappaan, directed by K.V.Anand, which also stars Suriya and Mohanlal in lead roles.